In the most basic sense, fire is light and heat that is produced from a chemical reaction. The chemical reaction is usually between oxygen and some sort of fuel. Common forms of fuel are wood and gasoline. Wood and gasoline don’t just become fire, in order for the chemical reaction to begin, a third ingredient is needed: heat. The heat causes the molecules of the fuel to become unstable. Some of the molecules then begin to decompose once they reach a certain temperature. When this happens they release gases creating smoke. Some molecules are moving so quickly from the increase in temperate they “bump” into oxygen molecules cause a flame. Fire is dangerous because it is a self-perpetuating chemical reaction. The heat of the flame will keep the chemical reaction going as long as there is still oxygen around. Flames can be different colors based on the temperature. The hotter the flame the color is usually blue, cooler flames are orange or yellow. The carbon molecules as they are heated emit light called incandescence. The gases in the flames of fire are less dense than surrounding air which is why they move upwards towards lower pressure. This is why flames look like they are pointed at the top. Most firefighters use water to remove heat in order to reduce the flames of a fire and prevent the chain chemical reaction from recurring. Fire extinguishers eliminate fires in two ways: by shooting water to remove heat as well as foam to help reduce oxygen. Fires have been used by human beings for thousands of years. They have used them for heat, for light as well as to cook food. Now that we know what fire is, we can understand fire safety and prevention. Firefighters don’t just work to extinguish fires. They also do their part to determine the starting location and cause of the blaze. Both of these are very important when determining whether or not the fire was accidental or intentional. Not only will the police want to know how the fire started–especially if the worst happened and there were fatalities or the fire spread to other homes–but insurance investigators will have questions as well. Without answers, that insurance payment won’t happen. So how do firefighters determine the cause of a blaze? 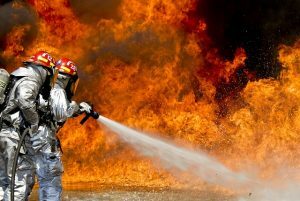 There are a number of techniques that can help firefighters or forensic analysts find the needed information, from satellite images to chemical tests. Simple observation works, too. First, the origin point of the fire must be found. This point can be big or small. Sometimes, it can be less than a square inch in size! Analysts use science to figure out where fuel from the fire might have originated. If outdoors, could dry pine needles have done the trick? Rare, but possible. Some materials burn more easily than others, and these are the first suspects. Because paper will burn faster than wood, smaller objects and materials are often to blame. Firefighters often arrive on the scene before a fire can completely demolish a structure or area, in which case they can easily figure out where the hottest flames were burning. This is likely the location at which the fire started because the fire was burning there longest. How much smoke was present when firefighters arrived? What was the color of the fire? To the untrained eye it might look like determining the origin point or source of a fire is difficult, but it’s usually easier than it looks. Once the origin point is determined, there is often physical evidence left over. If the fire originated at the stove, it won’t take long to figure out what went wrong. Cooking accident? Electrical malfunction? “Char patterns” are used to track the progress of a fire from origin point to end point. That provides investigators with a general direction, which is another trick to figure out where the fire started and what caused it. Because of the way a fire burns–up–the starting location can be more accurately determined when not at the floor level. A fire with multiple points of origin would immediately be distinguished as arson according to a criminal defense attorney Miami. With Carbon Monoxide Awareness Week just gone by, it’s hard to overstate the importance of life-saving detectors. The charity Nolan’s Story and Gravenhurst Home Hardware paired together in order to provide 100 carbon monoxide detectors to the Gravenhurst fire department, which will help the volunteers who donate their time there to better serve the community as a whole. It’s time to spread the all-too-important awareness of fire and carbon monoxide safety. All right, so everyone knows they should have a smoke detector. But what kind? 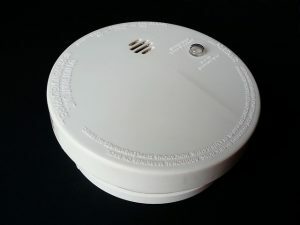 There are two primary types of smoke detectors: photoelectric and ionized, or both in combination. Ionized detectors will better detect hotter, faster burning fires, while photoelectric detectors will do a better job at letting you know when you have a slower burning, smoldering fire. Either detector will do the job, but a combination detector will help give you the small bit of extra time you need to escape from a potentially dangerous blaze. Those homes without properly working smoke detectors are more likely to have fatalities in the event of a fire. Once you know you’re prepared for a fire, it’s time to think about something else you can’t see: carbon monoxide. It’s a poisonous gas that could surprise you because it’s odorless. You can’t see it. Most people don’t know that the appliances in your home can give off this gas. So long as they’re working, carbon monoxide detectors will signal you that there’s a problem before you experience any symptoms from inhalation. It’s a worthwhile investment. The best carbon monoxide alarms include specialized electrochemical-sensing technology to increase the speed of detection. Sometimes it’s not enough to place these devices in your home. You have to do a simple extra step to make sure they function properly: perform a monthly check to ensure that the batteries are still working. If not, changing them is crucial and could save your life. Depending on where you live, you might also reap the added rewards of early detection. Many homeowner policies will offer insurance discounts to those who can prove they have the right detectors installed. It’s mutually beneficial, so do the right thing and make sure you have both detectors installed today. Wildfires in California cause billions of dollars in property damage in addition to numerous fatalities. More and more people are looking to find out what starts these fires, especially since the number and severity of these disasters have increased over the last few years, according to New Jersey Employment Attorneys. 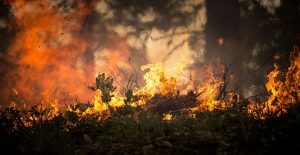 The National Wildfire Coordinating Group describes a wildfire as a wild-land blaze that is both unplanned and unwanted. According to this definition, wildfires can take the form of escaped natural or prescribed wild-land blazes; illegal wildland fires caused by human beings; and any other sort of wild fire that is required to be put out. Wildfires in the state of California can be started by any of the following causes. Human beings have been said to cause some of California’s largest wildfires, albeit indirectly at times. However, some fires have been as a result of the actions of arsonists. One of the latest and largest blazes in the state, the Holy Fire, which started in Holy Jim Canyon in Orange County, is suspected to have been started by an arsonist. Locomotive and automobile engines have been mentioned among the main causes of wildfires in many parts of the US, including California. Between the late 1800s to the early 1900s, coal powered locomotive engines were identified as one of the main causes of wildfires through the spread of fire igniting sparks. This led to the invention of the spark arrestor. This invention countered the release of fire causing sparks from these historic engines, as well as modern internal combustion engines and wood fuelled stoves among others. However, all eventualities were not planned for accordingly, as one of the most recent and largest wildfires in California, the Carr fire is suspected to have resulted from the sparks released from the friction between a vehicle’s bare rim and the road surface after one of its tires burst. California wildfires may also be started by power supply lines located above ground. Strong winds, blowing from the Pacific Ocean for instance, may cause weak power lines to break or make contact leading to the release of fire igniting sparks. Fires may also start as a result of branches falling over the lines. Over the years a variety of wildfires have been started by power lines in one way or the other; with Pacific Gas and Electric, the main energy supplier in the state, bearing the blame on some occasions. Other causes of wildfires include burning debris, campfires, fireworks, cigarettes and cigarette butts among others. It’s however worth noting that these causes account for less than five percent of all wildfires. What Is Fuelling California Wildfires? Climate change and dead trees are also said to be among the main reasons why wildfires in the state of California are burning across larger areas and for longer. Extended periods of dry weather with some period of precipitation in between combine to create the ingredients for huge wildfires. The precipitation encourages the rapid growth of bush and grass cover; afterwards hot weather dries out the vegetation, providing fuel for massive wildfires. Dead trees resulting from widespread insect infestations in California’s forests also work to fuel the blaze. As more housing units are constructed in high-risk areas when it comes to wildfires, it’s also highly likely that we will see more fires caused by humans, whether directly or indirectly. Wildfires are sort of a double-edged sword. Of course, they are most notorious as a destructive force, burning properties and vibrant trees and brush anywhere and everywhere in their paths. On the other side, wildfires can be very cleansing to the area in the aftermath, as the ashes left behind serve as food and fertilizer for the rebirth of the area, as has been seen in several western states following massive fires. No matter which side you fall on, wildfires that are active do put a lot of land, property, structures and human lives at great risk, and they often demand massive firefighter response to contain and eventually extinguish them so as to eliminate the risk to property and human life. But do you notice that even as the fire grows and as personnel comes onto the scene to fight the blaze, that these wildfires are ultimately difficult to contain even after all of the firefighting assets are in place and doing the work? Fire, especially when it grows beyond a campfire or fireplace, starts to take on its own personality – humanlike in that it can be unpredictable and create its own environment in which to thrive. And often, firefighters have to think “like the fire” and “be” the fire in order to stay safe and be able to successfully fight it and subdue it. What makes a wildfire so difficult to contain? We can look at the Mendocino Complex fire in California, which was still burning as the largest wildfire in California’s history. A fire this large will have many factors in its favor to keep burning for a while, even as fire crews have continued to fight the blaze for the better part of a month now. The challenge is that firefighters need less heat and more humidity, but most wildfires occur in seasons when it is dry and hot. Those conditions have prevailed most of the time at Mendocino Complex, though firefighters have gotten breaks with increased humidity at night recently. Many wildfires don’t burn in flat area with little or no brush. They are often in very rugged, mountainous, and sometimes dense forest land. The kind of terrain that is very difficult for humans and vehicles to get to, and forests are obviously ripe areas to add fuel to a fire. Wind can change on a dime, which is why were put it separate from weather. Whether humid or dry, rainy or sunny, the existence or non-existence of wind can dramatically affect a fire. A gust from the south one minute can push a fire into a barrier, while a flip to the east could send the fire right into structures or help it jump over a highway or other roadway. Self-weatherizing. As fires get bigger, not only do they develop their own personality, but they become their own weather system. As they take up a lot of land, it can perpetuate itself into expansion by drying out the air and the ground around it, increasing the temperature of the area, and as creating its own wind I the direction is “wants” to go. This is where firefighters have the most difficulty; getting into the “mind” of a fire to understand its weather “pattern” and try to predict where it might go next. As you can see and imagine, there are so many variables that are difficult to predict and overcome. These are the reasons that wildfires grow and are so hard to contain – and why they are such a destructive force in the western U.S. According to the New York Department of Health, smoke released from any type of fire, whether it’s forest, brush, crop, buildings, waste or wood) is a mixture of particles and chemicals. Substances found in smoke include carbon monoxide, carbon dioxide and particle matter (soot). 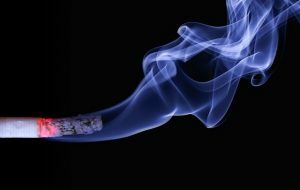 Other chemicals found in smoke include aldehydes, acid gases, nitrogen and sulfur dioxides, benzene, toluene, and so much more. The particles released depend on what is burning, at what temperature and how much oxygen is available. If you live in areas that have smokey areas such as California, safety protocols including setting up carbon monoxide monitors and having in-home respirators. In the event that you are in an area that suddenly sparks a fire, leaving the premises in an orderly fashion and finding a safe area away from the smoke is the best course of action. If you feel that you are suffering from any of the aforementioned symptoms it is imperative to speak with a healthcare professional. According to a criminal defense attorney Odessa, arson is the intentional and malicious act of burning or setting fire to another person’s property. Property includes and is not limited to homes, cars, boats, machinery, and especially those who own farms – the unlawful burning of land. Intent – in order for it to be considered a crime, the person must have the intent of destroying the property. Accidental fires happen all the time but that doesn’t lead to arson charges. Property Damage – in order for it to be classified as arson property must be damaged. Means Of Starting Fire – in order for it to be considered arson, the suspected arsonist must have means of starting a fire such as a match, lighter or explosives. Our elite law enforcement units use special chemical analysis to help determine the point of origin of the fire. It’s also important to know that people who burn their own property to collect on insurance policies may be charged with arson as well as insurance fraud. Depending on where you live arson is either a misdemeanor or a felony. The degree of the crime varies based on the risk of potential injury, the type of property burned, the amount of property that was damaged. For example, an arsonist will be charged with a higher degree of arson if they burn down a building that was occupied versus burning down a building that was abandoned because the risk of potential injury is higher. Sometimes determining whether or no the fire was due to arson can be difficult which is why we rely on our community members to help us. If you see anything suspicious at the onset of a fire such as someone fleeing the scene call 911 and report it immediately. A house fire is not something you ever expect to happen. House fires can strike at any time of the day whether it’s the middle of the night or the afternoon. Even if you do everything in your power to prevent a house fire, you can’t totally prevent one from happening. If a fire occurs in your house, one of the most important things to keep in mind is to remain calm. Panicking can add to the chaos and create confusion. Also, it is important that you get yourself to safety and alert the authorities before helping others. Some of the top causes of house fires are cooking equipment, heating, smoking in bedrooms, electrical equipment, and candles. All of these things have one thing in common and that’s fire. The best way to prevent a house fire is to take care of the little things. Make sure the stove is off when it is unattended, if you smoke, make sure your cigarette is out when you are finished, or if you’re leaving the house, make sure candles are out. House fires are very dangerous and claim dozens of lives each year. It is important that each household has a plan in place in the event of a fire. Everyone living in the house should be aware of the exits and know where to meet up with the family once they leave the home. We have put together a list of tips that will help you keep safe during a house fire below. We all know of a time or two when the fire alarms inside the house went off and we ignored it because the alarm probably had low batteries at the time or someone was cooking and the smoke caused the alarm to go off. While our reaction, or lack thereof, was okay in that scenario because there wasn’t actually a fire, a lazy reaction can be the difference between life and death in an actual fire. When you hear the fire alarm going off in our house, get up and begin to investigate. These alarms are in our house for a reason. If the alarms are ringing, it’s more likely than not for a reason. The safest way to exit the house is through doors. Before you leave a room, feel the door with the back of your had. If the door is hot, the fire is likely near. If the door is cool, you are safe to exit the room and exit the house. Also, if you see smoke under the door, the fire is likely following close behind. Use an alternate exit if there is one. How can you avoid smoke inhalation when the house is on fire? Stay low and cover your mouth with a cloth of some kind. Smoke inhalation can not only do damage to your lungs, but you may faint as a result of breathing in too much smoke. If you find yourself trapped in a room with no exits, this tip will come in handy. Cover any vents or openings (the bottom of the door) in order to prevent smoke from coming into the room. In an extra effort, keep your mouth and nose covered with some sort of cloth. Smoke rises, so it’s important you keep your body as low as possible while you wait for help. 4. Stop, Drop, and Roll! While we often catch ourselves casually joking around about the stop, drop, and roll technique, it can come in handy in a fire. If your clothes catch fire, stop, drop, and roll is a proven method and will extinguish the fire. If you are in a two story house, call for help from the second floor. It is important to let the fire department or other household members know that you are still stuck in the house. If there is no other way of escaping, you can try going out the window. Look for a ledge or something lower that you can hang on to. It is important that you face the house and extend your body as far down as you can before letting go. This is not the best option and should be the last thing you consider. If the fire still has not reached the room you’re in, it is best to wait for help. You have finally safely exited the house. Now your job is over, right? Wrong. If you are the first person out of the house, get a head count and call 911 or the emergency services. Do not go back into the residence unless it is safe to do so. Entering a burning building can be difficult to navigate and should be left to the professionals.